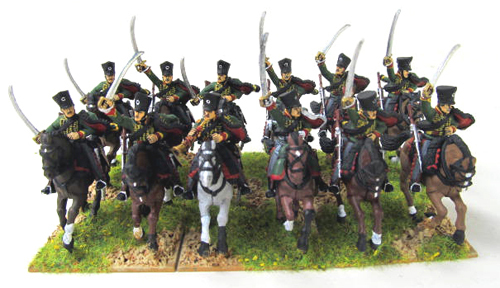 I needed a couple of regiments of Prussian Light Cavalry so I converted Perry Miniatures French Hussars into Prussian Hussars. I should probably not call it a conversion because all I did was glue Prussian Infantry heads onto French hussar torsos. Some creative painting, or should I say “camouflage” turned French shabraques into the longer Prussian ones. 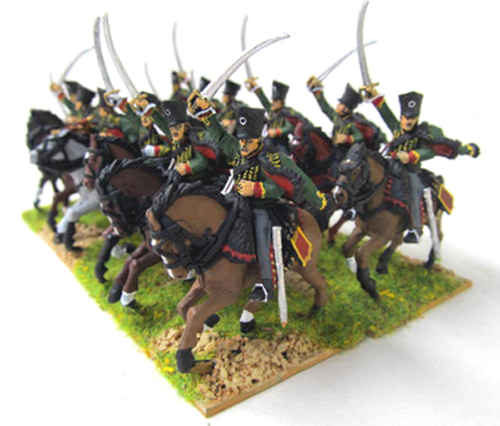 These hussars are not 100% perfect but they are good enough for me and I did not have to wait 3 months to (maybe) get my hands on them. 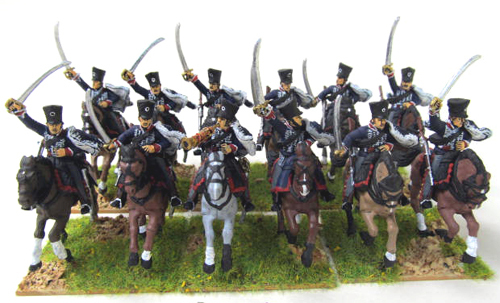 These hussars were painted in wargames quality by the talented painters of my former painting service MMPS. These painters still work for MMPS which is now under new management so if you like their work go shop at the MMPS Website. Previous PostLet’s get started!Next PostBunnies !! Did exactly the same with my Prussian lights. Works for me and look good from 3 feet away……done the Mecklenburg-Strelitz and Leib are next. Looking good. I always wondered why more eyes were not poked out with all that sword waving. I was an Infantry Assault Pioneer for 9 years. Does that count? 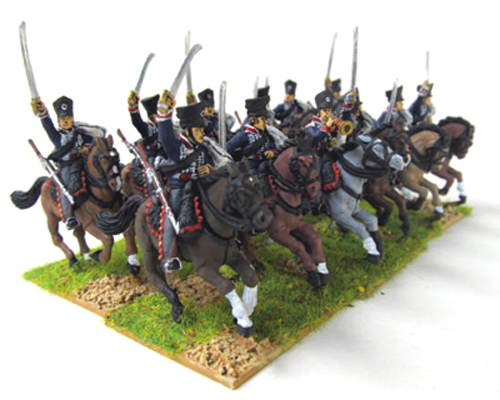 Nice looking Hussars! However for me the archetypal Prussian Cavalryman is the Uhlan!